Jeffrey Deitz grew up in Baltimore, Maryland, where he was a prize-winning instrumentalist at the Peabody Conservatory of Music. Between undergraduate and postgraduate years at Philadelphia's University of Pennsylvania, Jeffrey graduated from Baltimore's University of Maryland Medical School, spending half his senior year conducting award-winning neuroscience research at The Johns Hopkins Medical School. After psychiatry and psychoanalytic training in Philadelphia, Deitz and his wife moved to Connecticut, where he entered private practice, contributed widely to the professional psychotherapy literature, and conducted a series of seminars about the theory and practice of psychotherapy. He also participated in the psychotherapy research group at The Albert Einstein College of Medicine and taught psychopathology at a New York psychoanalytic training institute. In 2007, Deitz turned his attention to wider audiences when he began publishing in The New York Times, The Huffington Post, and other media outlets on topics including sports psychology, sleep deprivation, and the power of psychotherapy. He also contributed regularly to The Rail, The New York Times' blog about horse racing, a lifelong interest. In addition to his writing and psychotherapy practice, Deitz is Assistant Professor of Psychiatry at The Frank Netter School of Medicine of Quinnipiac University, where he lectures second year medical students on diverse topics. Deitz and his wife JoAnn live in Norwalk, Connecticut. They have two grown sons who live in Brooklyn. 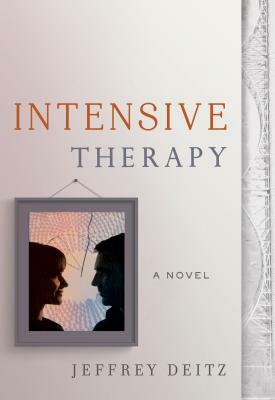 Intensive Therapy: A Novel is his first novel.